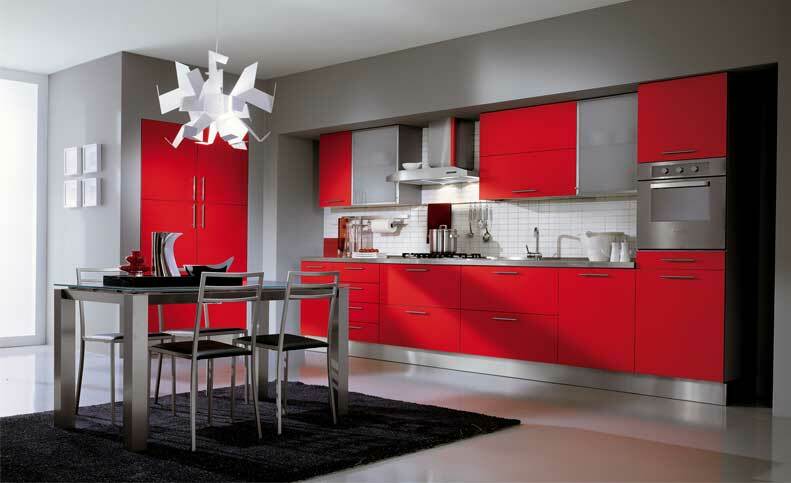 Love, passion, lust and beauty are just some of the main themes of red color. 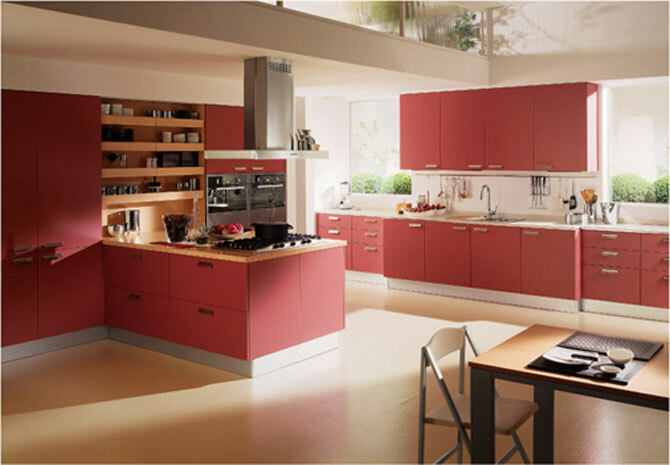 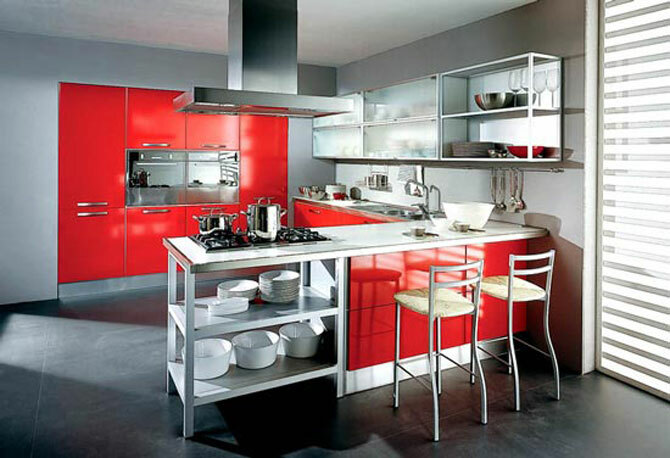 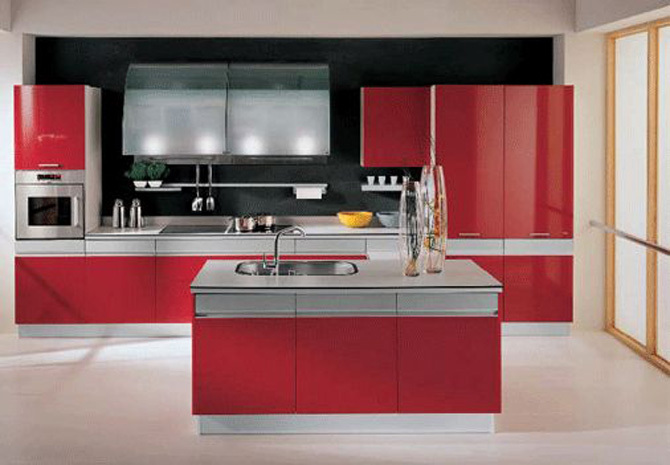 It can easily stimulate your emotions, and a great looking modern red kitchen is often a place you like to be in. 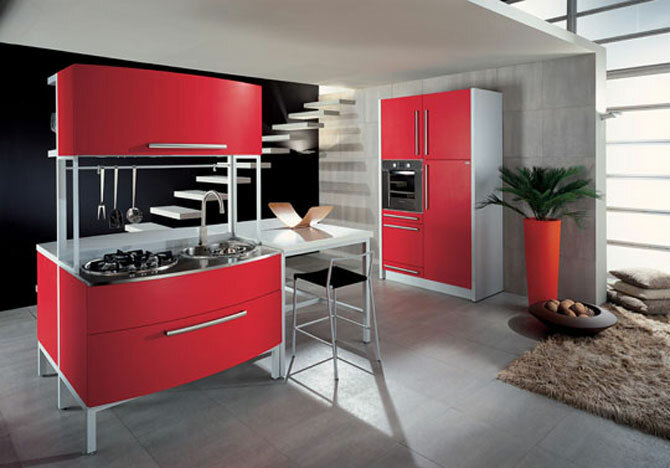 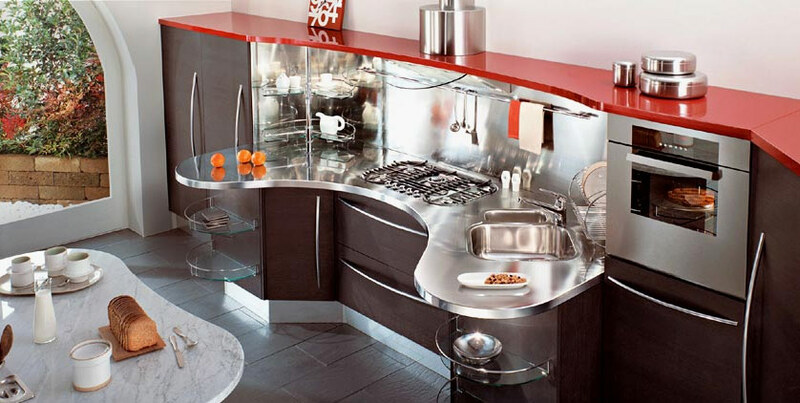 Contemporary decor and red-colored design is now increasingly gaining popularity, so much that is has even become the trend of modern kitchen style. 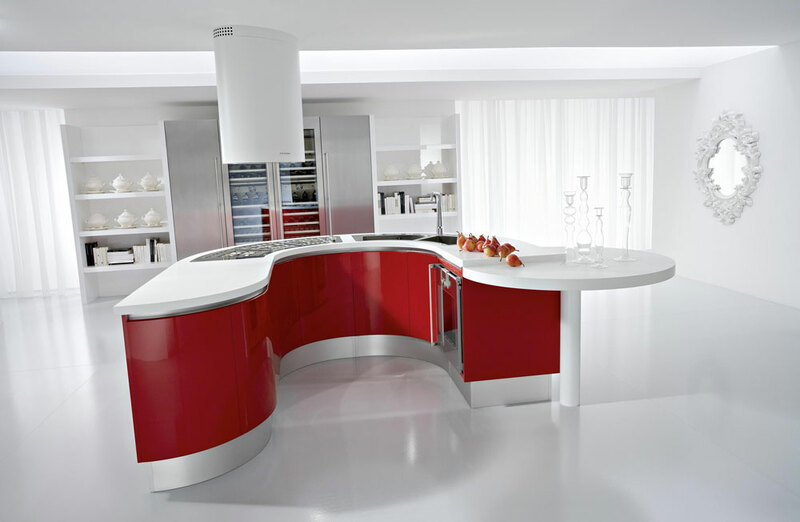 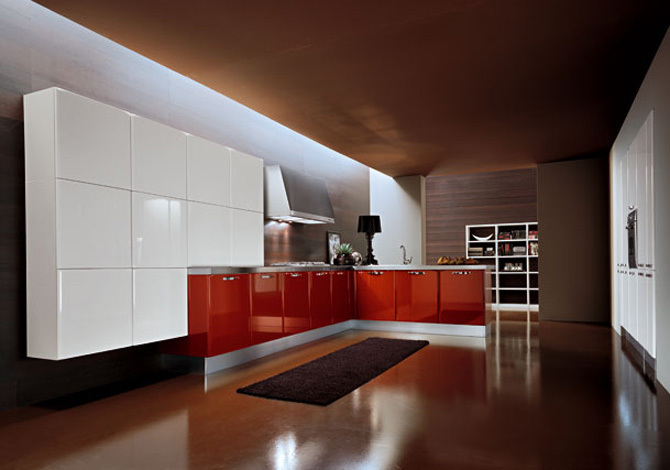 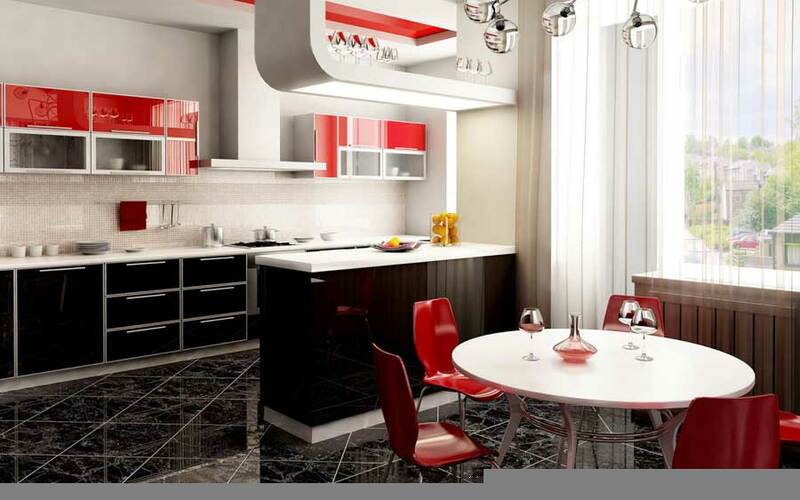 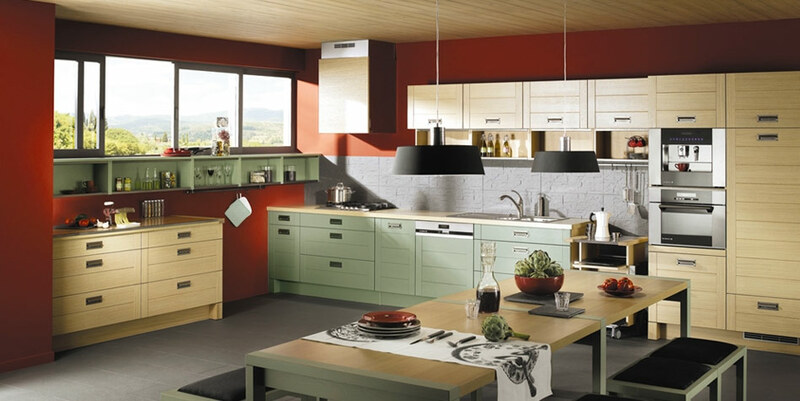 If you want an elegant and modern kitchen, red is always a great choice. 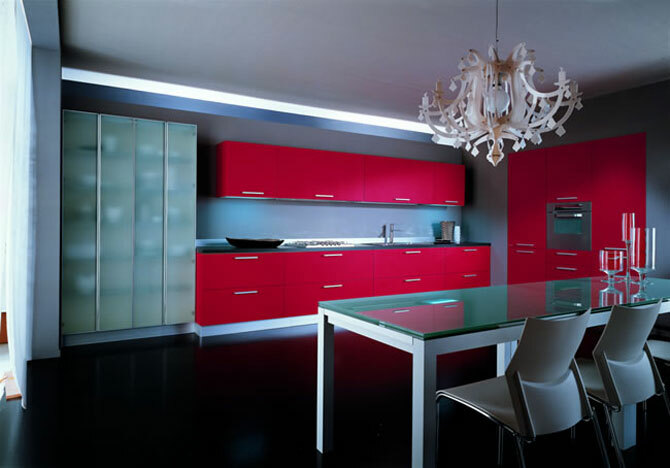 Take a look at a few trendy red kitchen designs we gathered from European makers Snaidero, Mobalpa, Errebie Spa, Nolte Kutchen & Pedini.